Sometimes, we travel on a whim. A quick couple of nights in a close-by city is enough to get us out of our own living room for the weekend and sleep somewhere new, try restaurants and bars outside of our usual. Two weekends ago, we hopped in the car and headed south with no agenda other than Nashville. With my sights set on fried chicken, biscuits, and a pop-in to HatWRKS for a new, casual topper, I blared Jerry Reed and Johnny Cash all the way down 65, much to the man’s chagrin. 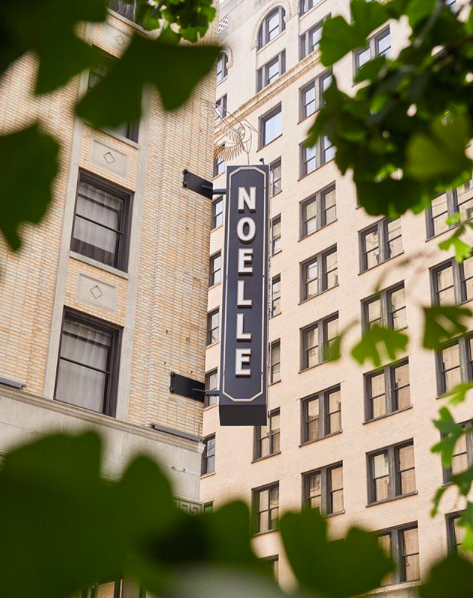 Within a few hours, we docked the car and checked into Noelle, the gorgeous new hotel on 4th Avenue at Printer’s Alley. 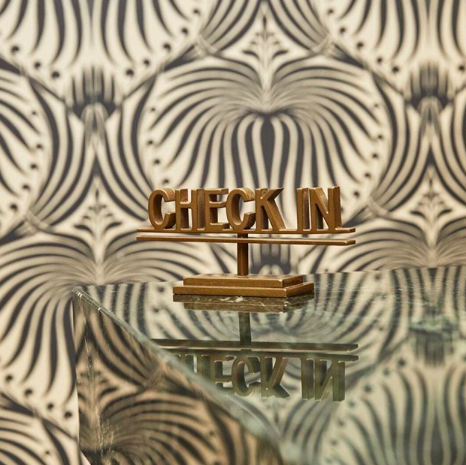 We were greeted immediately by smiling valets, and a charming (English-accented) gal at the front desk. 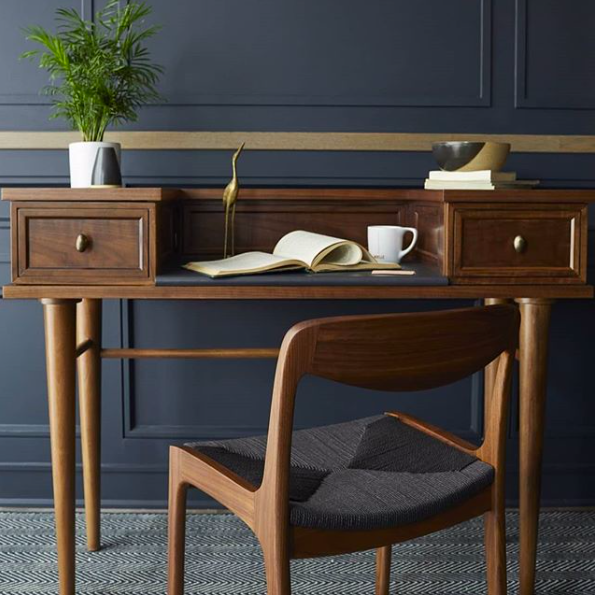 Seeming at home in a city that used to represent a world of country and bluegrass music, I was shocked- happily- by navy Lotus wallpaper by Farrow and Ball in the lobby. 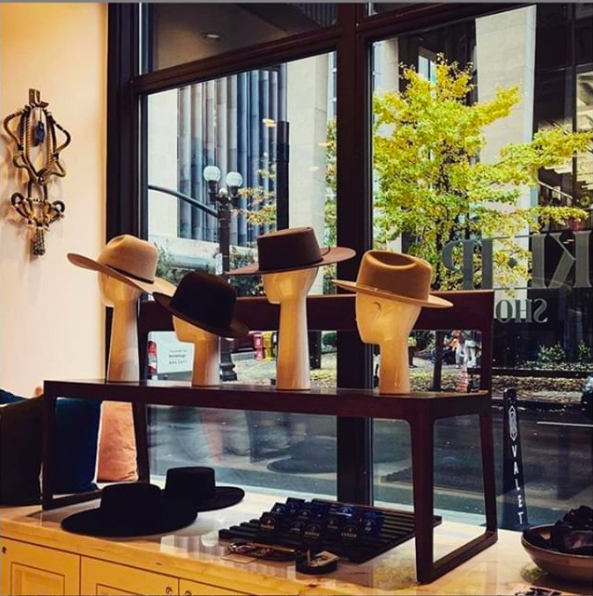 Here, too, a pop-up shop with jewelry by Nashville artisans, scented lotions, a hotel signature candle, and a selection of Stetsons beautifully displayed. We made our way to the elevators, stopping to stand, mouth-agape, taking in the lobby bar. 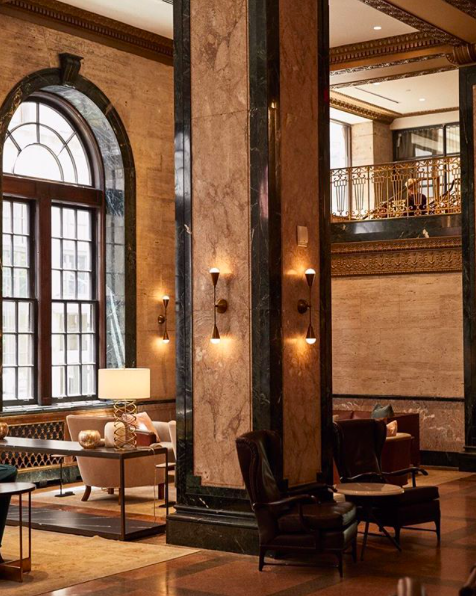 Architectural details of the 1930’s remained here, with soaring marble columns and arched windows, but there was a glorious mix, too, of low-slung modern furniture, funky light fixtures, and a myriad of contemporary art by local artists. 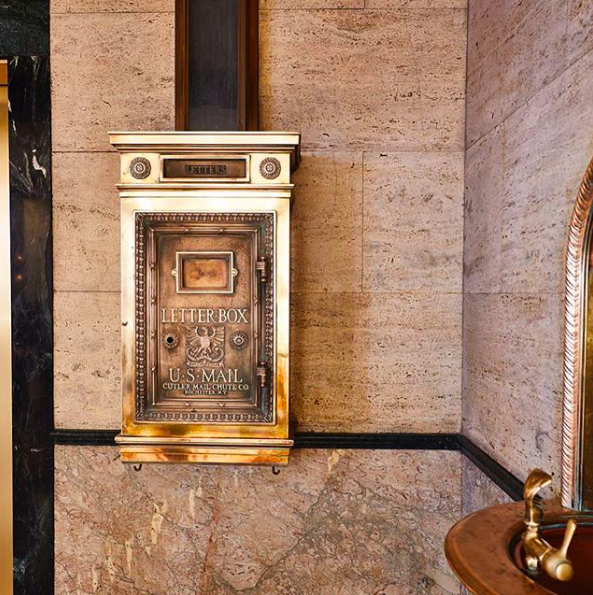 The details here were amazing… the original hotel post box remained in the lobby (along with a drop on each floor). 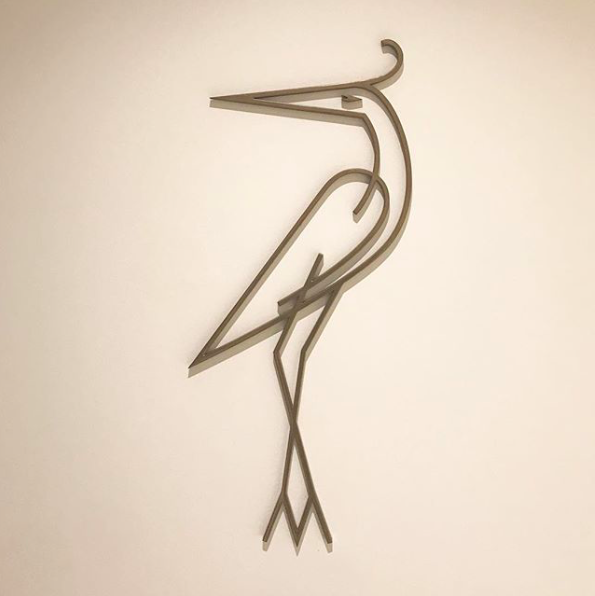 Slim, gold avian friends graced the front of bathrooms, and greeted you at each floor… It was a fun, modern twist on deco. Upstairs, we opened the door to our room to be surprised with a king studio suite. At the push of the “suite on” switch, overhead light sprung to life and the curtains opened (a fantastic touch- automatic blackout shades and full length sheers… I may have to spring for this in our own home!). We were greeted by moody blue-gray walls, funky sconces, a comfy sofa and massive tv on a swing-arm. A very tall armoire had plenty of space for storing clothes, offering toasty bathrobes, and housing a well-stocked mini bar. Crisp, white linens greeted us on the bed, while pale wood floors stayed nice and cool underfoot. An all-marble bathroom was roomy, with a huge walk-in shower. 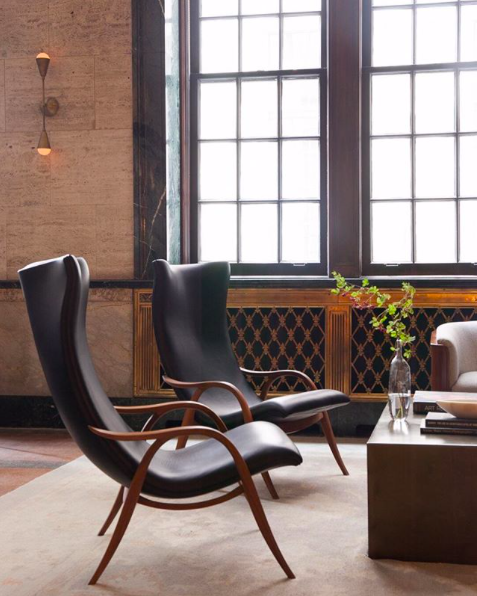 As hotels do, Noelle offered us a respite from the city outside its soaring windows. With the SEC basketball tourney in town, and my brilliance at planning a getaway on St. Patrick’s Day weekend, plus Bryan waking up day 2 with a ridiculous stomach flu, we definitely got our money’s worth. Camped out in bed, I was able to use the wifi, plus connect my Netflix to the television and binge watch Schitt’s Creek between running out for meals (hello, Woolworth’s on 5th… I miss your cheeseburger). Between the decor of this spot and the quick walk to the river, Broadway, and many local food-spots (and, truthfully, Bryan owing me for doing nothing but puking for three days), we’re already thinking about a return trip in warmer weather. 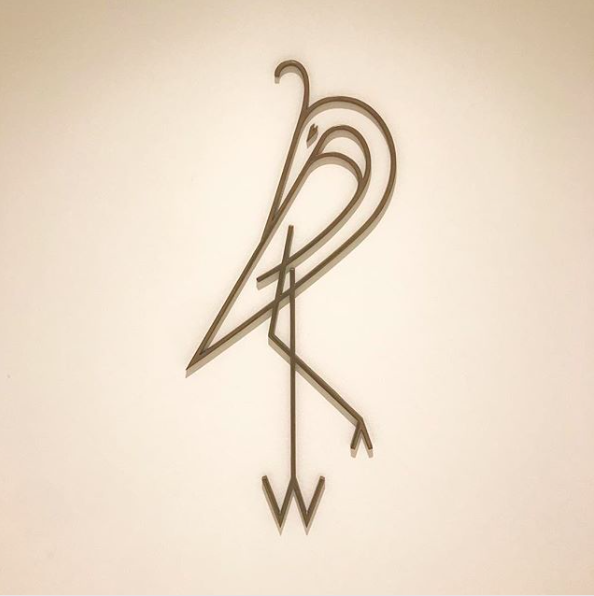 I’m looking forward to trying out Rare Bird, the rooftop bar, and heading back to the basement eatery (more on that spot soon). Almost 20 years after I used to romp around Nashville as a doe-eyed undergrad on the weekends, I was surprised to find that all of a sudden, Nashville had become a trendy town for makers, musicians, artists, and foodies… It’s my kind of town. Yee-haw, y’all. Makes me want to go there and see for myself!